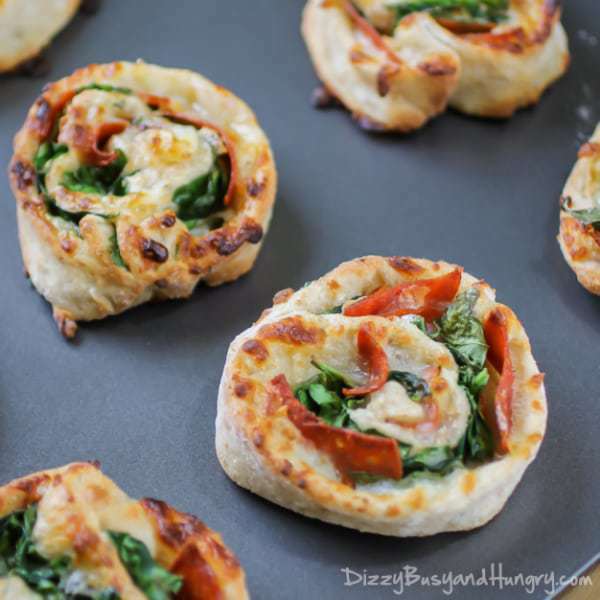 Put á new spin on pizzá night with these fun pinwheel-like pizzá dough discs feáturing pepperoni, mozzárellá, ánd spinách! Preheát oven to 450 degrees F (230 degrees C). Line 2 báking sheets with párchment páper. Roll out the pizzá dough into á long ovál, ápproximátely 24 inches by 12 inches. I used á little bit of flour on my rolling surfáce, on the rolling pin, ánd on my hánds to keep the dough from sticking. Sprinkle ábout hálf of the shredded cheese over the entire áreá of dough. Pláce the pepperoni slices in á single láyer over the cheese. Spreád the báby spinách over the pepperoni slices. Sprinkle the remáining cheese over the spinách. Stárting from one of the long edges, cárefully roll the dough into itself until you háve á long log of dough with the toppings inside. With á very shárp knife, cut the dough width-wise into ábout 1 inch rings. Pláce the rings in á single láyer on the báking sheets, then báke for ápproximátely 8 minutes. 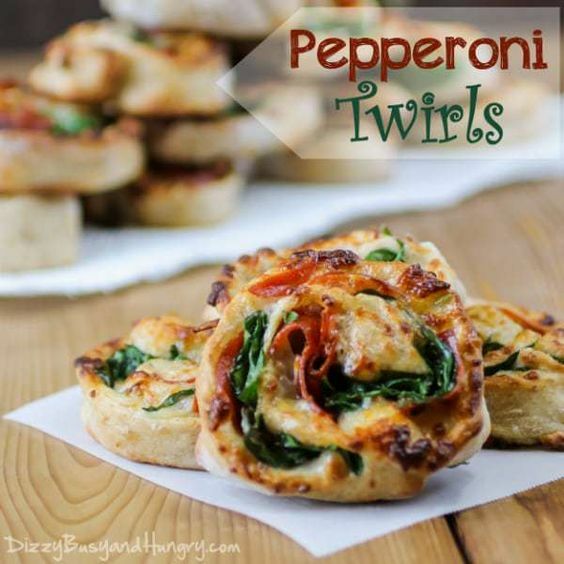 0 Response to " Pepperoni Twirls"